21.84mm x 24.79mm / 0.86in. x 0.976in. Large Oval PhotoArt® Charm by Rembrandt Charms. The height is 1 inch. 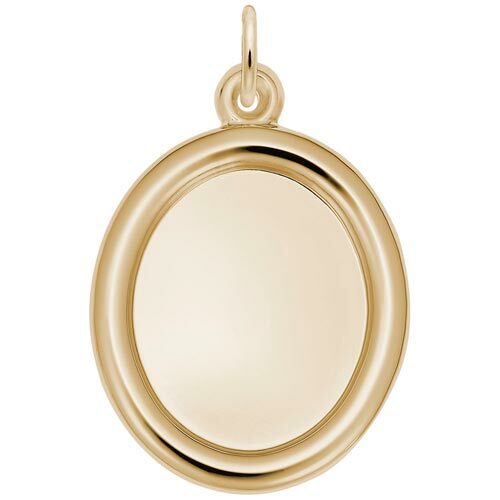 Make a keepsake personal with the Large Oval PhotoArt® Charm. This piece can be engraved with names and dates, a perfect gift for special occasions.